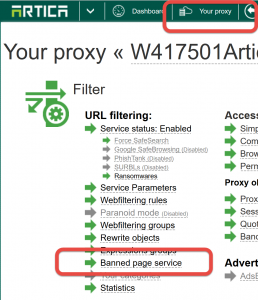 Home » Web filtering » Change the Webfiltering error page address. 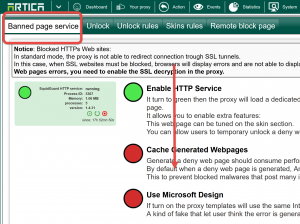 By default, Artica use the IP address of the proxy to redirect blocked requests to the error page. 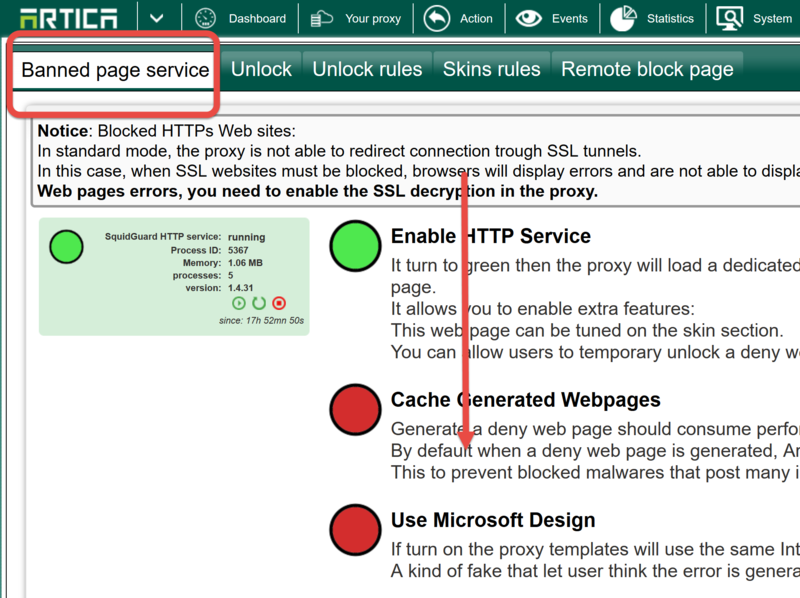 To change the location of the Web filtering error page, on the TOP menu, click on Your Proxy button. 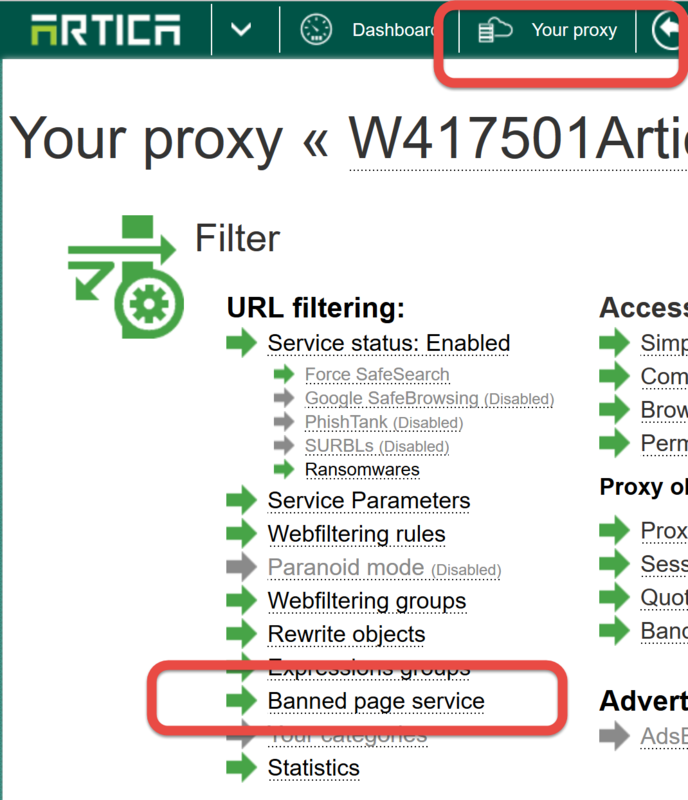 You will be redirected to the Banned page service main configuration. Down to the end of this section. Modify the desired hostname value. It should be an IP address or an fully qualified host name. ← Where to find important messages ( Emergencies history) ?